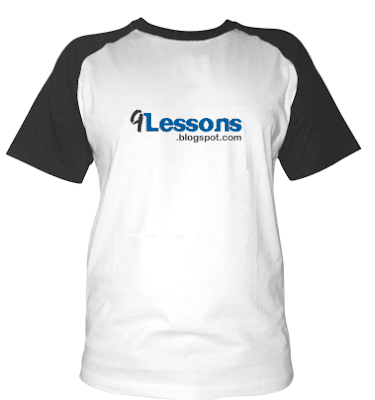 Do you like 9Lessons blog T-Shirt Design. 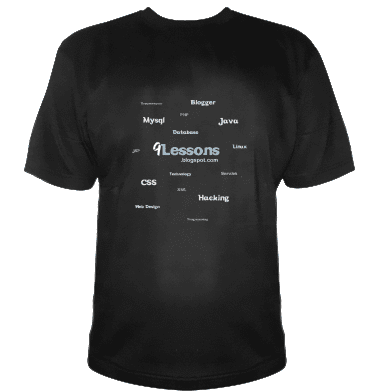 Hi friends, I had designed two t-shirts for 9lessons blog promotion . What do you think about the design? Please suggest me which one looks good(white or black), feel free post a comment. Thanks! Black one is better than the white which i feel. superb srinivas , it's very inspiring the way you promote your blog , you are the true untrained but successful in internet marketing and today your 9lessons have become such a big brand kudos to 9lessons.